Help to ID this guy. Got from Clementi . Couldn't get starlight pleco but got this instead . Currently house in a planted tank with shrimps. Hope he is shrimp safe. Looks like a ranger Pleco. Saw the same fish labeled as such in Y618 and Aquatic Avenue few days back. can PM me the price? saw it at C328 the other day, tempted to buy but uncle and aunty cannot be found so give it a missed. did the ranger survive well? 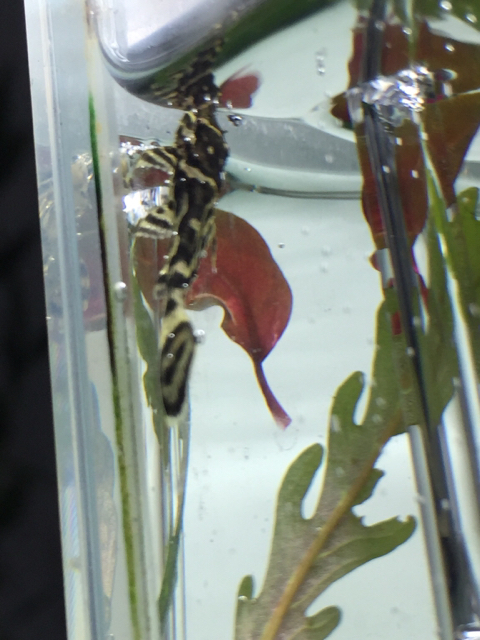 Just to check if anyone has kept these plecos before and can share/confirm what their eventual colors and patterns become once grown to adult size? From what i've been reading online it seems they change their look alot as they grow, even at every 1cm stage of growth, the stripes apparently turn into spots. Closest ID i could find so far is Pterygoplichthys weberi : http://www.planetcatfish.com/common/...species_id=860 (the photos show the juvenile patterns vs adult patterns, super different). Nice looking pleco. I wonder how large would it grow into. All times are GMT +8. The time now is 15:31.